A few weeks ago a friend (Ron J) and I stopped by Pencil Park in Keysborough to have a look around and see what was new. It was a nice sunny day and pretty mild for a winter’s day but it was quiet with not many birds around. We watched the wetlands for a while and took a few shots of the birds like Dusky Moorhens (Gallinula tenebrosa) and Egrets getting a late afternoon feed. This particular Moorhen had a determined look about it as it hunted around the fringe and ate what it could find in the foliage along the water’s edge. 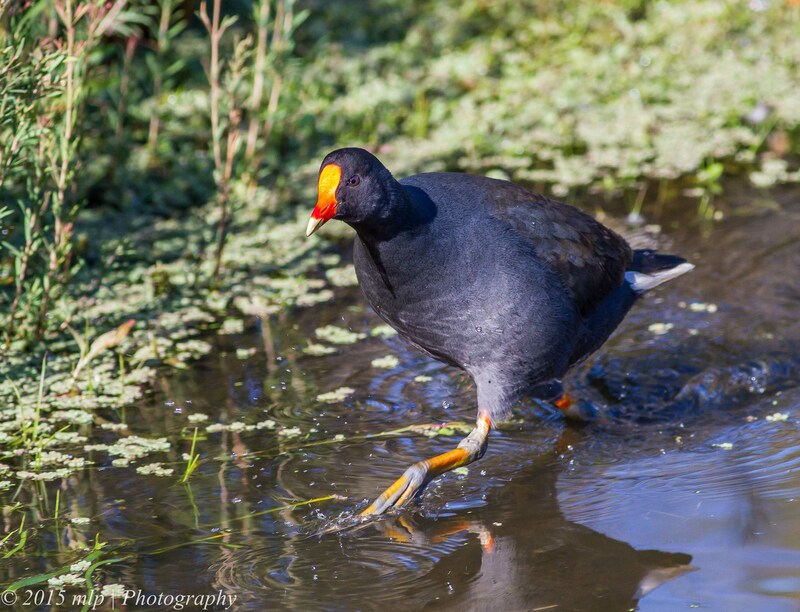 This entry was posted in Birds, Victoria and tagged Australian Birds, Bird Photography, Dusky Moorhen, Nature Photography, Pencil Park, Photography, Victoria, Wetlands. Bookmark the permalink.